Who will decide who is to represent New Jersey’s Atlantic County in Trenton this November: voters who live there or a jet-setting glam-gal-pal of rock superstar Bono, who doubles as an inside-the-beltway big-bucks high-profile SuperPAC power player and Senate Minority Leader Harry Reid’s BFF? The voters in Legislative Districts 1 and 2, or Susan McCue, who could have stepped out of the pages of Bonfire of the Vanities, Tom Wolfe’s classic novel about the greed and shenanigans of New York’s beautiful people in the 80’s? At the rate things are going, it may well be the latter, since turnout for the general election is expected to be pretty poor. In an effort to control the outcome in favor of Democratic candidates, the lovely and talented Ms. McCue, whose day jobs include heading Democratic SuperPac General Majority, running her own public relations firm, Message Global and, until she opened MG, serving from 2007-2008 as the founding president and CEO of Bono’s ONE super-charity that’s supposed to, but doesn’t, reduce global poverty has flooded the districts with anti-Republican Internet ads filed with lies and distortions. 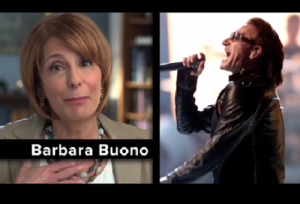 Bono (right), not Buono (left). It gets better – or worse, depending upon how you look at it – since McCue and crew have moved to bypass the people altogether – who needs them? 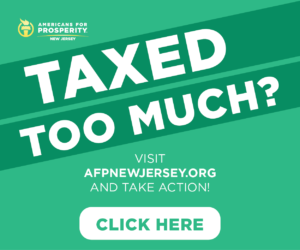 – by filling out absentee ballot applications for targeted Atlantic County voters and accompanying them with a letter from a prominent local Democrat urging recipients to toe the party line and vote a straight ticket. General Majority’s hack-and-flack crew are all-hands-on-deck to stonewall official complaints. That Atlantic County has a long and sordid history of exactly this type of messenger application abuse and corruption doesn’t seem to matter. 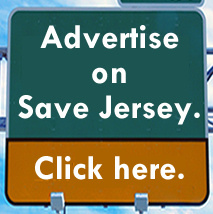 McCue’s kind of help Atlantic County’s 275,000 residents don’t need. Especially since she’s like her pal Bono, whose “help” makes things worse, not better in Africa and elsewhere. But what will the vanities of Ms. McCue and Bono do if they can’t tell lesser beings how to vote or vote for them or how to live as they “Ah-tch-tch-tch-tch” chuckle over $5,000 plates of pate, tinkling of glasses of an indifferent vintage white wine while they open their checkbooks to make the largest political contribution allowable by law? She mysteriously ranks 27th on PolitickerNJ.com’s list of South Jersey’s 30 most influential figures even though she hasn’t lived in the state since God only knows when (our guess is 20 years). Instead, her digs are a posh, Washington, D.C.-area townhome valued at over $712,000, like the ones you see on House of Cards where SuperPAC scalawags, nasty lobbyists and sleazy politicians cavort, connive and conspire. In the meantime, Atlantic County ranks near the bottom of all U.S. counties in financial outcomes – down there with those in the poverty-stricken Deep South. Over a quarter of the kids who live there live in poverty, and the family unemployment rate in 2014 was well into double-digits at 11.4 percent. As the Press of Atlantic City said, if you grow up poor in Atlantic County it means you’re likely going to stay poor. What is Ms. McCue doing to alleviate Atlantic County’s miseries – other than SuperPAC lies on the Internet and her generous willingness to come very close to casting absentee ballots on their behalf? In those ads – see them here and here – she extols the virtues of Democrats like bar brawler Assemblyman Vincent Mazzeo in LD 2, who recently got into a nasty scrape – “drunken nincompoopery” is how one wag described it – with several union ironworkers after they demanded to know why he was selling out South Jersey interests by backing a statewide expansion of casino gambling. He never did say. The same ad, with the names changed, boost Bungle Brothers-Democrats Senator Jeff Van Drew and Assemblyman Bob Andrzejczak in LD 1. Their so-called “Economic Development Task Force” hasn’t met but three times in 16 months without public input or a semblance of discernible results. 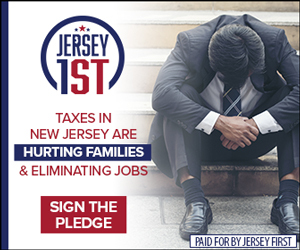 So much for helping struggling South Jersey families. 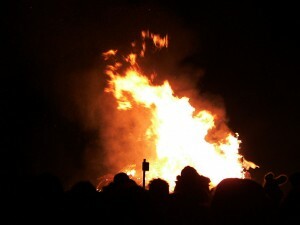 So, what is the worth of Bono (as opposed to his net worth of $700 million, some say over $1 billion)? To a great many critics, not much. If anything, he causes more trouble than he’s worth by distracting attention from real solutions, sucking the air out of any discussion of a particular problem and diverting donated funds that, instead of going to the people in need in the places where they need them, go to enrich Susan McCue, now ONE’s PR flack, to “raise awareness” and to the aforementioned high-paid staff so they can live well and claim to do good. Typical left-wing largesse light: Breeze in on a private jet (creating a long, deep and wide carbon footprint – hyper-progressives are livid at Bono in this regard) with promises of front-end money, schmooze with the corrupt government of the moment (never mind its atrocious human-rights and economic-development records), create fawning media buzz, get yourself nominated for scads of humanitarian awards and then flit on to the next project never bothering to look back at the mess you’ve created, the absolute lack of progress and, frankly, how you’ve made things worse than they were before you got involved. Bono’s vanity wants “programmes on the ground” to be funded by governments – read “taxpayers.” To that end, he twisted the arm of Canadian PM Stephen Harper, all in a very public, Bono-first way, to finagle more money from the Canadian government at a time when the country’s economy was trending downward to the point where it recently officially entered a recession. No one had accused U2 of committing the crime of illegally evading taxes. Corporations move their operations to lower-tax jurisdictions all the time. But they do live well, which is half the equation. Meanwhile at Media Global, Susan McCue, whose lockstep support — $21,700 in personal campaign contributions over the years – goes exclusively to Democrat political candidates who take it as an article of faith that Wal-Mart and cable television companies are akin to the devil, takes on the corporate behemoth and the National Cable and Telecommunications Association, among other like-mindeds, as lobbying clients. Bono claims to be “representing the poorest and most vulnerable people,” while Ms. McCue claims to be the SuperPAC voice of voters in Atlantic County with neither arrogant presumption having any validity. He speaks for mythomaniacs, a post-modern version of “the white man’s burden,” while she speaks for inside-the-beltway liberal Democrats who know better than the people how they should live, think and vote. If you want to make a difference in Africa or among the 275,000 who live in Atlantic County, move there, live there, get to know the people there, become one of them, borrow your neighbor’s lawnmower, loan him your power tools, start up a business, hire local people and otherwise be hands-on there. Celebrity fly-byes by rock star and SuperPAC mythomaniacs whose primary purpose in life is to live well, however, won’t cut it. What Ms. McCue is not is a “sell everything you have and give it to the poor, and then you will have treasure in heaven” kind of woman – it’s more give me all you have and I’ll use it in South Jersey to tell lies about Republicans. Whether the skim is “carrying charges,” “leakage,” “messenger applications” or “We don’t provide programmes on the ground,” the bottom line is that little goes to the benefit of the people who need it, but plenty goes to “raising awareness” by an “advocacy and campaigning organization” whose people live well and boast about how they do good as they corrupt the democratic process by stifling the voice of the people. The vanities of Bono and Susan McCue – is there a bonfire close at hand onto which we can toss them?